Size : 9cm in diameter (3.5"). Really nice patch, should fit well on my dark blue denim jacket. Also, just as for Peter, patches are my favorite piece of merchandise ;). Thats such a great patch!! The colors are so great!! The quality is awesome!! It looks so great on my black hoodie!! 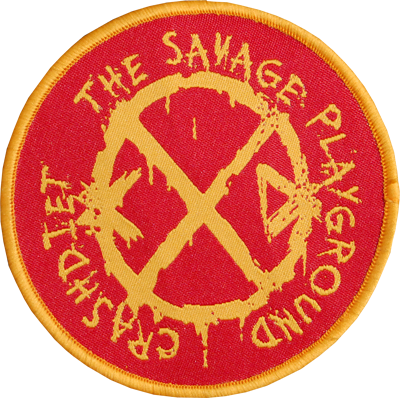 By the way, the savage playground CD is suuuuper!! Awesome quality!! Love this patch! !